A cursory glance at the Amazon bestsellers list shows that Chromebooks have become quite popular as most common workflows are increasingly transitioning to the cloud. We also see that Acer and Asus are dominating the bestsellers list with their wide assortment of products. The below list can be sorted based on the parameters in the table headers at the top. So, without further ado, let's get started with what we think of the current crop of bestselling notebooks on Amazon.com. The Amazon bestsellers list provides an idea as to what categories and brands of laptops are preferred by end-users. This list is dynamic and changes almost on a daily basis. The current selection of laptops reflects the bestseller ranking as of date. New notebooks populate this list often so we will be keeping it up to date on a monthly basis. The purchase links at the end of each product description take you direct to the product listing. We've also included a Pricecompare tool to help you with alternate options, if required. Note: NotebookCheck receives a small affiliate commission for products purchased via the included Amazon links. The Acer Aspire E5-576-392H is a good value proposition for everyday computing. The Acer Aspire E5-576-392H tops the Amazon bestseller's list for good reason. The laptop offers decent specs for everyday computing and is also easy on the wallet. The Aspire E5-576 is powered by the 8th gen Intel Core i3-8130U — a 15W 2C/4T Kaby Lake Refresh CPU that offers speeds up to 3.4 GHz. Acer offers a generous 6 GB of LPDDR3 RAM and an okay-ish FHD display that only offers narrow viewing angles. You also get 1 TB of HDD space but we would have preferred at least a low capacity SSD for the OS. Not to worry, though. There is an M.2 slot on the motherboard, which can take NVMe or SATA M.2 SSDs. You can also swap out the HDD for a SATA SSD if you prefer. If you have the extra budget, we recommend installing an SSD to get the maximum performance out of this machine. Weighing in at around 2.4 kg, the Aspire E5-576 is not exactly ultra-portable but the overall build quality is good for daily use. There is an easy access compartment in the bottom for upgrading RAM and disk drives if needed. The Aspire E5-576 offers a good port selection including 1x USB 2.0, 2x USB 3.0, 1x USB 3.1 Gen1 Type-C, 1x Ethernet, 1x VGA, 1x HDMI, 1x 3.5mm jack, and an SD card reader. Performance-wise, the Core i3-8130U get the job done for those into web browsing, Office work, or basic photo editing. Gaming on this machine is not very ideal thanks to the Intel UHD Graphics 620 GPU but games from the Windows Store or AAA titles from a few years ago should be playable at low settings. If you are looking for a good lower mid-range notebook that gets the basics right at a sweet price-point, the Acer Aspire E5-576-392H should be high on your radar. We only wish it offered a slightly better battery life. Buy the Acer Aspire E5-576-392H at Amazon. The Samsung Chromebook 3 offers a great Chrome OS experience. For those who live in an online world and rely increasingly on Google services at school or at home, Chromebooks make a good choice given their ease of use, affordability, and security. 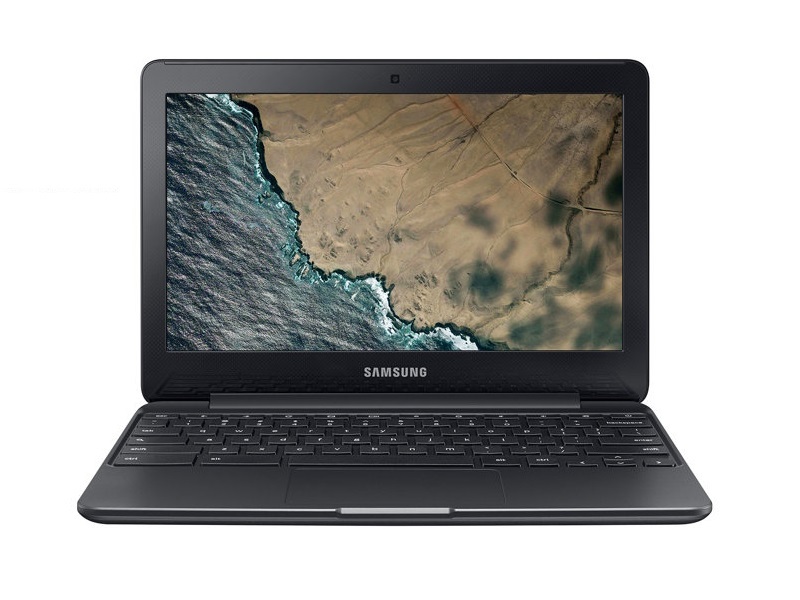 The Samsung Chromebook 3 has consistently topped Amazon's bestselling charts and is one of the best Chromebooks under US$200. The specifications seem anemic compared to many other Windows laptops out there but Chrome OS is highly efficient and you will barely notice any lags or disruptions in regular use. For a sub-US$200 device, the Samsung Chromebook 3 is surprisingly well built with no chassis flexing or display wobbling. The 1366 x 768 display is standard fare but is very bright at 259 nits with good viewing angles and fairly good color reproduction. Port selection is adequate for a Chromebook and the keyboard, though cramped, is easy to get used to. The Intel Celeron N3060 CPU will not elicit any applause but it does help in ensuring a smooth workflow. It is also extremely battery efficient, which is one of the USPs of these devices. Chromebooks are not really gaming machines and aside from the few odd games in the Web Store, there's nothing to write home about. Video playback is flawless, though and the integrated Intel HD Graphics 400 proves to be more than adequate for binge-watching streaming videos in Full HD. If the Web Store doesn't have the app you need, you can always use the Google Play Store app and install any of the numerous compatible Android apps. If you are in the market for a decent Chromebook or a secondary laptop, the Samsung Chromebook 3 perfectly fits the bill. Buy the Samsung Chromebook 3 on Amazon. The Asus Chromebook C202SA-YS02 is literally kid-proof. Chromebooks are great tools for learning at school and as a consequence, are often subject to a lot of accidents and misuse by kids. This is where the Asus Chromebook C202SA comes in. The C202SA sports a rugged design and a spill-resistant keyboard so it can take quite a beating while still keeping the overall weight around a handy 2.64 pounds. The 1366x768 display is bright enough for both indoor and outdoor use. The keyboard layout is great for children but might feel a bit cramped for adults. The C202SA offers a good port selection with 2 USB 3.0 ports, 1 HDMI-out, a 3.5 mm audio jack, and a multi-card reader. The 16 GB of onboard storage seems low but Chromebooks were never about offline storage anyways. Asus has designed the Chromebook C202SA in such a way that it can be dismantled for service by school IT and brought back to working condition in the shortest possible time. Like many other Chromebooks in this list, the C202SA is powered by the Intel Celeron N3060 CPU, which offers reasonable performance and battery life for running Chrome OS. The only perceivable lags occur when too many browser tabs are open or while running heavy web-based apps. The Asus Chromebook C202SA-YS02 offers a compelling Chromebook solution for all your online activities but the lack of touch means that it is not really suitable for taking advantage of Android app support. 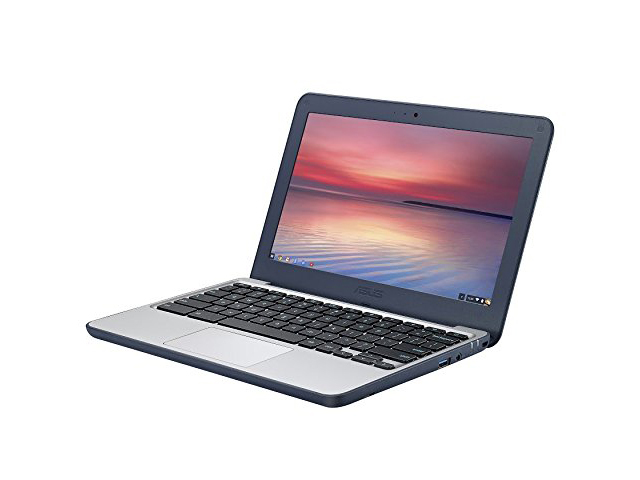 Buy the Asus Chromebook C202SA-YS02 in Amazon. The Asus Vivobook F510UA-AH51 makes for a perfect all-rounder Windows laptop. Those looking for a potent combination of form and functionality will appreciate the Asus Vivobook F510UA-AH51. Powered by an Intel Core i5-8250U CPU with up to 8 GB of DDR4 RAM, the Vivobook F510UA can sail through most tasks without breaking a sweat. The Vivobook F510UA is suitable for both personal and professional use. The FHD NanoEdge display is a pleasure to look at and the laptop comes with a comfortable keyboard that has keys with relatively short travel but is easy to get used to. You also get a Windows-Hello compliant fingerprint reader. Build quality is fine in general but there is a bit of flex near the middle of the keyboard deck. On the left you get 2 USB 3.0 ports and an SD card slot while on the right you have another USB 3.0, a USB 3.1 Type-C, an HDMI-out port, and a combo audio jack. While the Core i5-8250U should suffice for the majority of tasks, the inclusion of a 1 TB HDD is probably one of the major drawbacks in this laptop. Asus should have included at least a low capacity SSD for use as the boot drive. That said, installing an M.2 or SATA SSD is possible and is pretty straightforward. If you are in the market for a notebook that performs as well as it looks close to the $500 mark, there aren't many contenders as good as the Asus Vivobook F510UA. 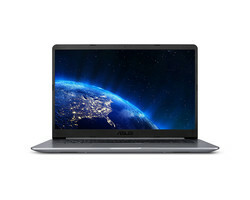 Buy the Asus Vivobook F510UA-AH51 on Amazon. 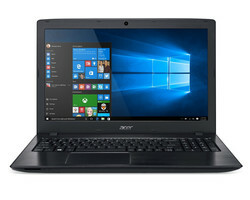 The Acer Aspire 1 A114-32-C1YA is a Windows-based Chromebook alternative. While the sub-US$300 segment is usually dominated by Chromebooks, the Acer Aspire 1 aims to offer a full Windows 10 experience for those who require common PC apps. The Intel Celeron N4000 is not a powerful CPU by any stretch and the 64 GB eMMC storage might seem anemic for regular Windows computing. However, the Aspire 1 doesn't target a professional user or gamer and it does not make tall claims, either. It is best suited for students on a budget who need to run the odd Windows program or two, or for someone who just likes to browse the web and check emails on the go in a cheap manner. While the Aspire 1 offers a surprisingly good FHD display for the price, it does compromise on other aspects such as having a poor webcam or a sub-par battery life. Port selection is good for the casual user and the keyboard is passable as long as you don't try to compose the next big bestselling novel on this. The low-end components do not lend themselves into making the Aspire 1 a good multitasker, but then that is probably not what Acer is after. However, we wish that the Aspire 1 could have implemented a better webcam and build quality. Buy the Acer Aspire 1 A114-32-C1YA on Amazon. The Acer Chromebook 15 CB5 offers a good multimedia experience. The Acer Chromebook 15 CB5 series received a slight upgrade this year and now sports 4 GB of RAM instead of the 2 GB in the original model. For a Chromebook, the Acer Chromebook 15 performs admirably well. The display is the regular 1366x768 resolution but is vivid compared to other Chromebooks in this list. Chromebooks do not necessarily sport top-of-the-line components and the Chromebook 15 is no different. However, the overall experience is good enough if your computing is primarily in the cloud. You also have support for Android apps via the Google Play Store if you need some extra functionality not available in the Chrome Web Store. If you need a Chromebook primarily for media consumption and some light college work, the Acer Chromebook 15 CB5 should easily be up to the task. 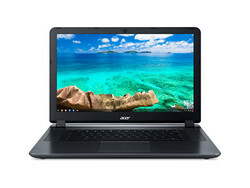 Buy the Acer Chromebook 15 CB5 on Amazon. The Lenovo Chromebook C330 is one of the best Chromebooks under US$300. The Lenovo Chromebook C330 is one of the few ARM-powered Chromebooks and features a MediaTek MT8173C SoC. It is a fairly old SoC, but it seems to suit the requirements of Chrome OS pretty well. The 11-inch FHD touchscreen feels a bit small but you can always hook-up the laptop to an external display via the HDMI port if you need a bigger canvas. The best part about the Chromebook C330 is that it sports a convertible design, which means that you can enjoy all your content in any preferred orientation. The C330 offers 4 GB of LPDDR3 RAM and 64 GB of eMMC storage that should be enough for running Chrome Web Store apps and also ones from the Google Play Store. While the Chromebook C330 is good enough for daily use, one may find the MediaTek SoC to be a bit mediocre compared to other Intel-based Chromebooks. The issue becomes apparent when you tax the system by opening lots of tabs and apps at once. That said, the overall experience with the laptop is nothing to scoff at and we do think that the Lenovo Chromebook C330 is one of the best Chromebooks under US$300. Buy the Lenovo Chromebook C330 on Amazon. The Apple MacBook Air gets a much needed upgrade in the 2018 version. Apple took a really long time to come up with a true successor to the 2015 MacBook Air — a notebook that is still a favorite among students and home users. While we did see a slight refresh in the 2017 MacBook Air 13, back then it seemed as if Apple was on the verge of retiring everyone's favorite MacBook. However, the new 2018 MacBook Air puts all those concerns to rest. It is nowhere close to what you can get from a 13-inch MacBook Pro, but it packs enough upgrades across all fronts, be it the display, CPU, memory, storage, or even the price. You get a much higher resolution (2560x1600) and a more color-accurate screen, the latest Intel Amber Lake-Y CPUs, up to 16 GB of LPDDR3 RAM, and up to a 512 GB SSD. Performance-wise, you won't be getting a drastic improvement in day-to-day tasks compared to older versions but the new MacBook Air can now sustain performance at loads for longer periods of time. This comes at the expense of a louder fan noise so the new Air is not the quietest one out there. 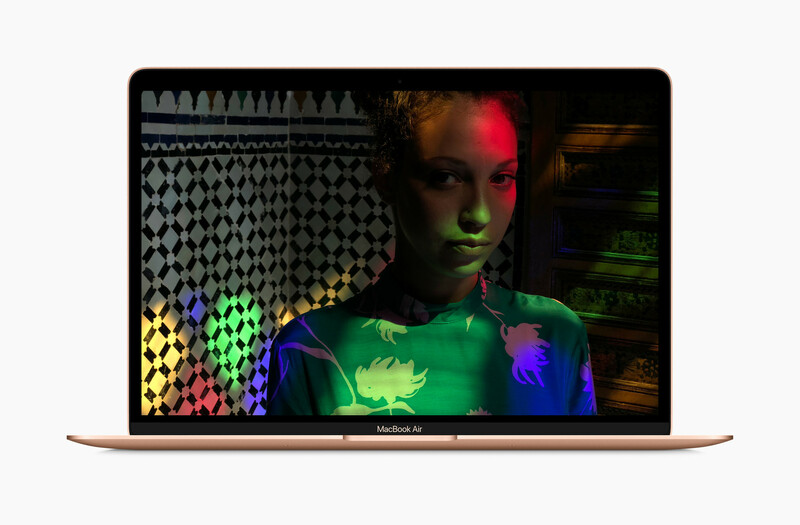 Still, the new Apple MacBook Air is a long due upgrade and is something that will definitely please Apple fans. Buy the Apple MacBook Air 2018 on Amazon. The Acer Aspire E15 E5-576G-5762 is good for both productivity and light gaming. While the Acer Aspire E5-576 enables good productivity, those who require slightly more power and a dedicated GPU will find their needs met with the Aspire E5-576G. This sub-US$600 notebook is powered by the Intel Core i5-8250U quad-core CPU, 8 GB DDR4 RAM, and an NVIDIA GeForce MX150 discrete GPU. The MX150 might not seem much when compared to its more powerful siblings such as the GTX 1050 and above, but it should enable modern AAA gaming at low settings fairly well. You also get a 256 GB NVMe SSD, which further sweetens the deal. The chassis and build quality are similar to the E5-576, including the port selection and availability of a removal panel at the bottom for upgrading SSD and RAM. The Aspire E5-576G also inherits some of the deficiencies of the E5-576 such as the dim display and mushy-sounding speakers. Thanks to the faster processor and dedicated GPU, the E5-576G posts better scores than the E5-576 in most benchmarks so Office users who like to unwind with some light gaming will find this notebook a worthy companion. Battery life in the E5-576G is also better than the E5-576 despite both laptops featuring the same 62 Wh cell. The Acer Aspire E5-576G is really not power-user material, but it can easily handle most productivity tasks with aplomb. Buy the Acer Aspire E15 E5-576G-5762 on Amazon. The Acer Predator Helios 300 is one of the best value for money gaming laptops. A decently specced gaming laptop can be out of reach for most users but Acer seeks to defy convention with the Predator Helios 300. 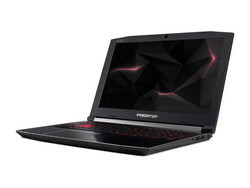 The Predator Helios 300 is arguably the best gaming laptop one can get at US$1,100 and features specs often found in more-expensive gaming notebooks. You get the latest Intel Core i7-8750H hexa-core CPU that can boost up to 4.1 GHz, 16 GB of DDR4 RAM, a 256 GB NVMe SSD, an overclockable NVIDIA GeForce GTX 1060 with 6 GB of VRAM, an FHD 144 Hz display, Gigabit Wi-Fi, enhanced AeroBlade 3D cooling, a dedicated PredatorSense gaming control panel, and a whole lot more. The above features give the Helios 300 an edge over competing gaming laptops such as the Dell G7 15 Gaming. The full GTX 1060 offers enough muscle power for 1080p gaming but we would have preferred a GTX 1070 or higher to take full advantage of the 144 Hz display. That said, it is not uncommon to see the GTX 1060 pump out triple-digit frame rates with the right settings. If you're going to buy this laptop, we suggest getting rid of any unwanted bloatware and updating all inbox drivers and the BIOS to the latest versions to eke out the maximum performance. The overall design seems a bit aggressive with the red accents and the red backlight on the keyboard. The laptop also does tend to get hot, especially near the WASD keys. If you can look past these, however, the Helios 300 is hard to beat in terms of performance per dollar of any mid-range gaming notebook out there. Buy the Acer Predator Helios 300 on Amazon. The Amazon bestsellers list throws up an interesting purchasing paradigm. While affordable Windows 10-based laptops are still quite popular, we find that Chromebooks from Asus and Acer are not far behind, implying that people are increasingly gravitating towards fully online computing or are looking to supplement their existing Windows or Mac notebooks with a Chromebook. 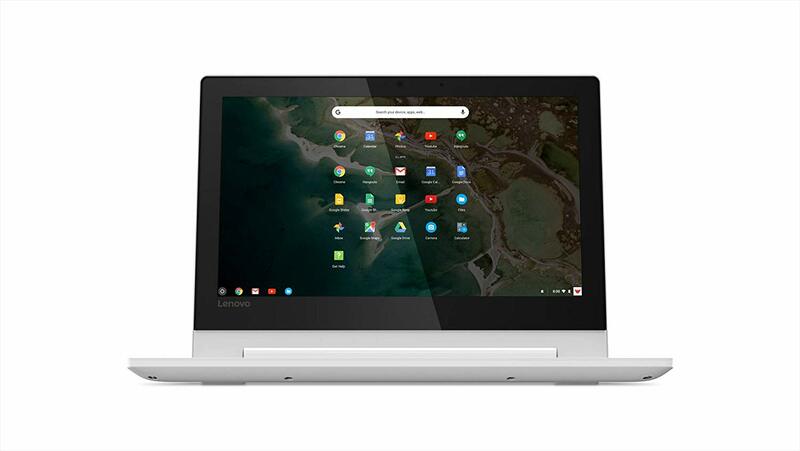 We feel that the highly competitive pricing of Chromebooks and the fact that most schools in the US have adopted a Google-based ecosystem could have catapulted Chromebook sales like no other. Five of the 10 laptops in this list were from Acer, which is a testimony to the good quality of service that the company provides — a fact that we've seen for ourselves in our 2018 Notebook Service and Support Satisfaction Survey. 2018 has been an eventful year for laptops and we've seen manufacturers focusing on both aesthetics and performance. However, from looking at the Amazon bestsellers list we can glean that most consumers prefer a good computing solution in the sub-US$500 range. Therefore, OEMs should look forward to offering more bang for the buck combined with good after-sales support if their products are to make a place for themselves in this list.